Ultimate I Spy combines seek-and-find gameplay with the unique capabilities of the Wii gaming system. It is great for kids 7-10 and perfect for family play. 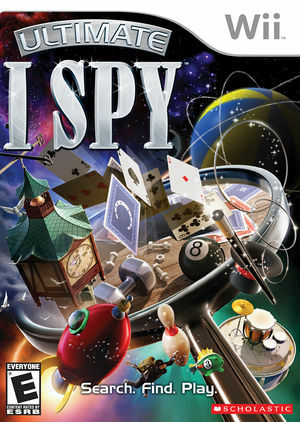 I Spy is a multiplayer game with over 20 hours of gameplay and includes 40 I spy riddles in 10 unique environments. With its 3D immersive environment and scavenger hunts, you can link up with your friends to enjoy all the action in each game. The graph below charts the compatibility with Ultimate I SPY since Dolphin's 2.0 release, listing revisions only where a compatibility change occurred.